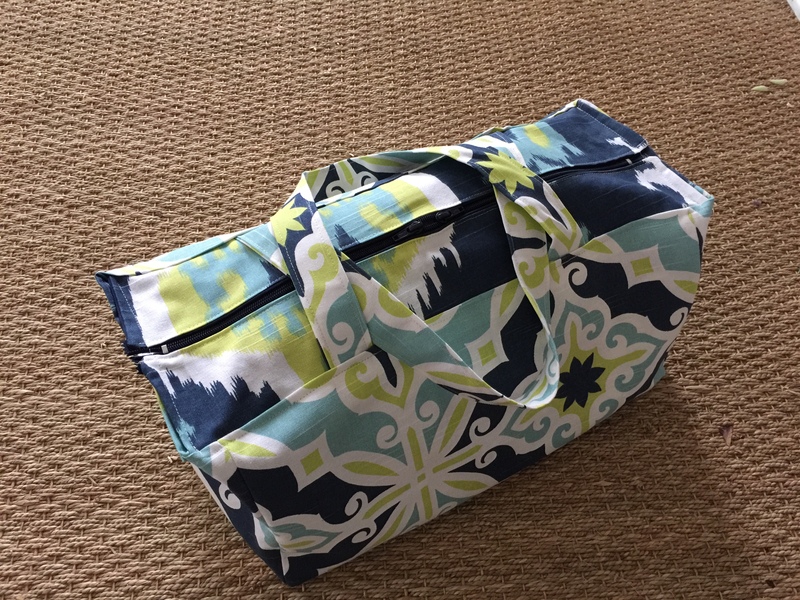 Today I am here to show you how to sew a duffel bag with zippered top closure. This particular bag is sized to meet carryon requirements and makes a wonderful travel bag because you can fold it flat and tuck several of them inside your suitcase with ease. 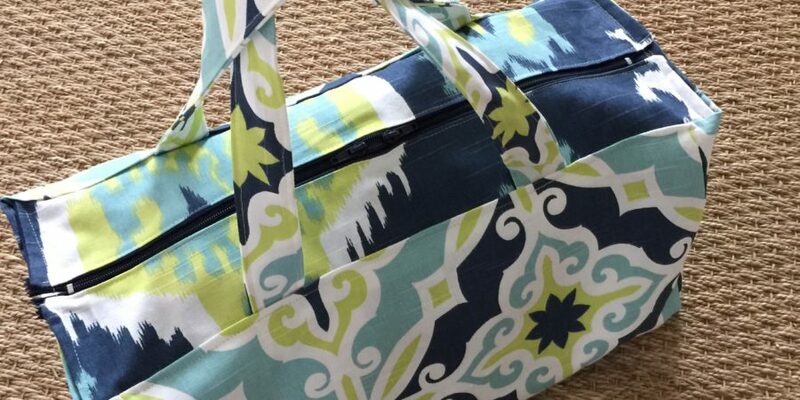 When finished your travel size duffel tote bag will measure approximately 17″ across the base, 8″ tall and 9″ deep. 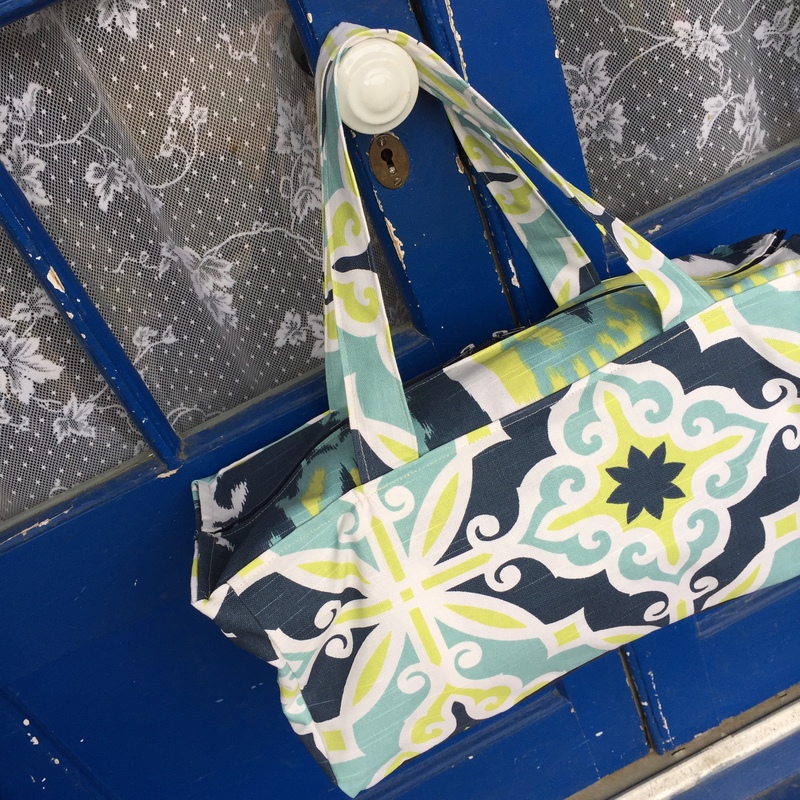 For this project you will need one 18″ zipper and 2 yards of cotton twill fabric such as the beautiful Premier Prints I used to craft the sample bag from. 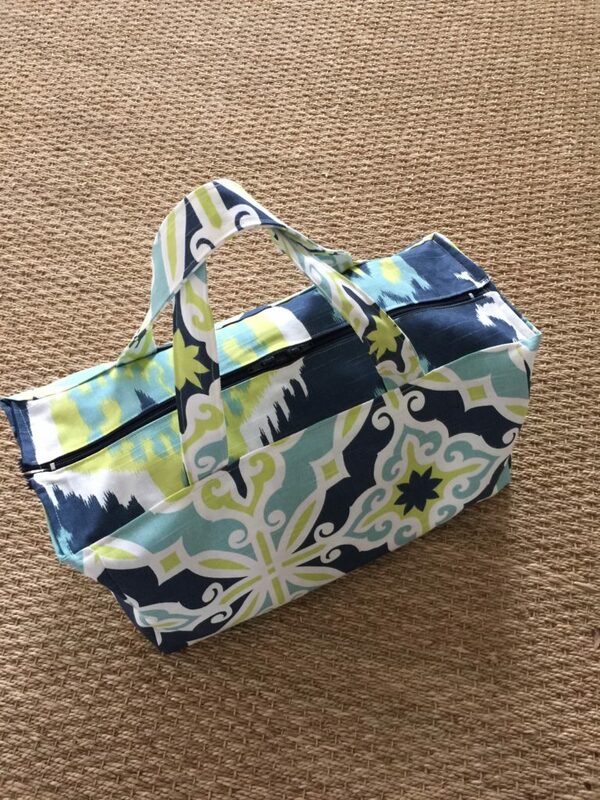 I hope you enjoy the sewing project and will share photos of your finished duffel bags on the Sewspire Facebook and Instagram pages using @sewspire and #sewspire . I will be back next week with another inspired travel themed project. 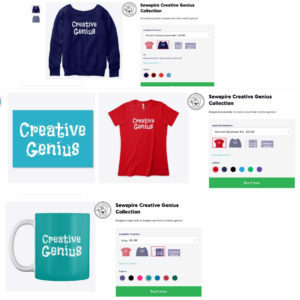 Until then, please know the creative genius in me salutes the creative genius in you! P.S. Congratulations to Janice Centritto as she is the Happy Mail winner of the patchwork dachshund pup we made last week! If you would like to enter to win this week’s travel sized duffel bag, you can sign up here. 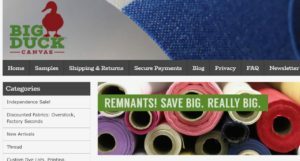 You mention 2 yards fabric- how much for focus fabric and how much for lining/contrast fabric? I noticed the dark blue for the bottom, the the contrast for the lining and zipper casing. Going shopping for fabric and wanted to get the right amounts of the three fabrics. 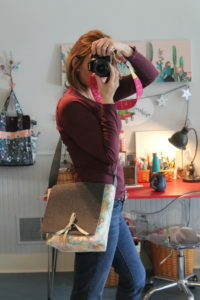 Cannot wait to try this duffel bag, it is great!! What kind of needle did you use on this ?